Today, a major national audit on cancer diagnosis in primary care in England has been published in the British Journal of General Practice. The audit provides a detailed picture of the timeliness of cancer diagnosis in patients who present with symptoms. Approximately 439 GP practices took part, 5% of all practices in the country, equating to 17,000 cancer patients in England. For all cancer types the audit shows that it takes an average of 40 days for someone to be given a definitive cancer diagnosis and one in five patients experience avoidable delays to their diagnosis. For colon and rectal cancers, the average time it takes from first reporting symptoms to a cancer diagnosis is 49 and 42 days respectively, compared to breast cancer which takes just 14 days. Around 25-30% of colon and rectal cancer patients wait more than 90 days for a cancer diagnosis. Furthermore, approximately 30% of patients diagnosed with bowel cancer experience avoidable delays to their diagnosis, compared to 7% for breast cancer. The Achieving World Class Cancer Outcomes Cancer Strategy for England recommends introducing a new standard that would ensure patients received a cancer diagnosis or the ‘all clear’ within 28 days of being referred by their GP for cancer tests, which is currently being piloted in England. 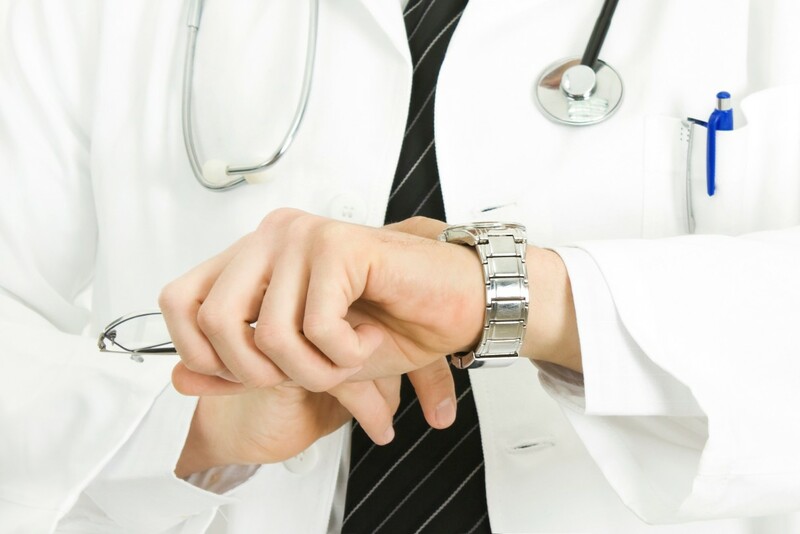 “Waiting for a diagnostic test is a stressful and uncertain time for anyone, so it is vital that patients get access to them and receive a definitive diagnosis quickly. But today’s findings clearly show that patients are simply waiting far too long. Not a day goes by where we don’t hear from patients who have experienced symptoms but struggle to be referred for diagnostic tests or get access to these tests as quickly as possible. We have been raising this issue for some time now through our ‘Right test, right time’ campaign. “Part of the problem is that the symptoms of bowel cancer can often be vague and also be symptoms of other less serious and more common bowel conditions, it can be difficult for GPs to know who to refer and when. The introduction of primary care tests, like the faecal immunochemical test (FIT) could be a game-changer to speeding up the referral pathway for those who experience symptoms but do not qualify for an urgent referral.